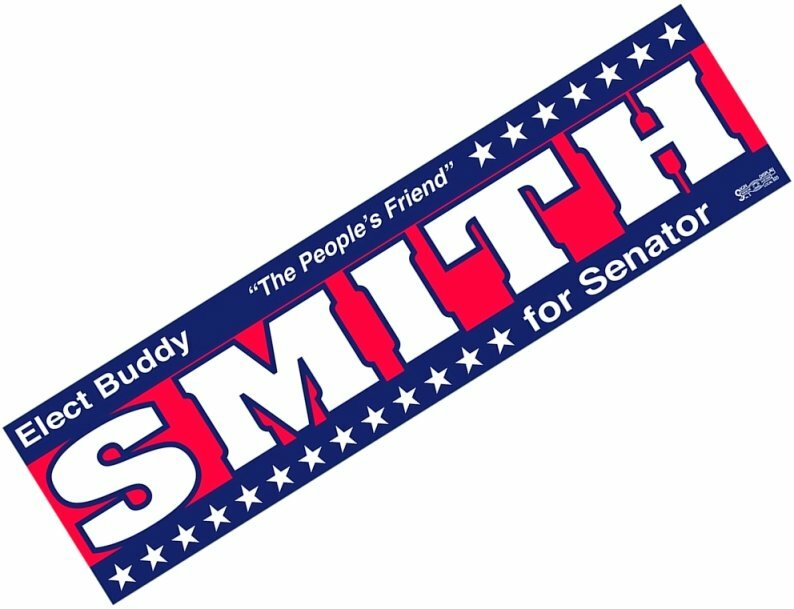 Bumper stickers are one of the all time favorite items for election promotion. over without permanent residue left behind, popular size. Overall size is 11 1/2 W x 3 H. Bulk packed in carton. Rush Production is available, no extra charge.